Building up the stash with some fab Penny Black stamps. Love this swirled background, it’s just so different from anything else out there and soo many possibilities! I like a CAS sympathy card design, but they aren’t the funnest cards to make so it’s nice to have a few on hand for when I do need them, because that’s when I probably won’t feel like making them. All the products are linked below otherwise head on over to Penny Black! Other Supplies: Cardstock – Smoke Copics – 0. W4,7. G24,40. V01,12,15. < Previous Video : Colour with ‘U’ – Blender pen v’s pigment ink! 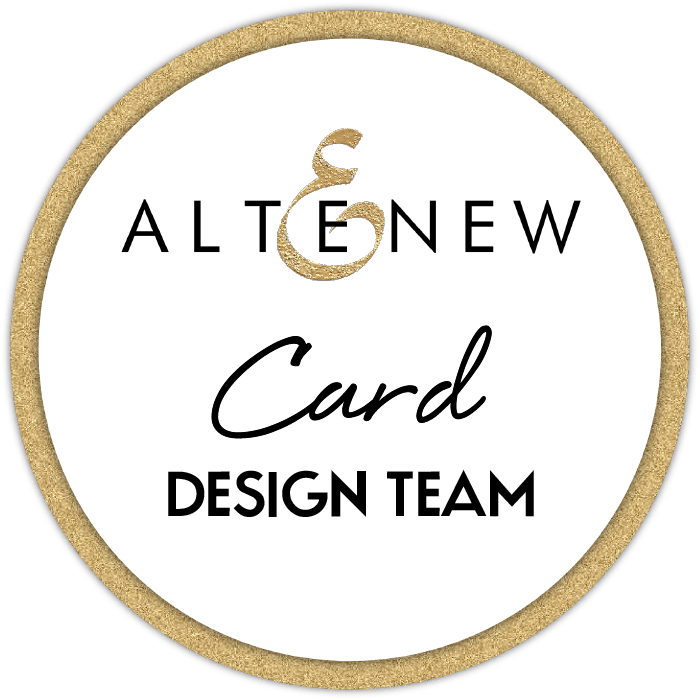 Next > CAS Layered die cut Baby Card (video)! 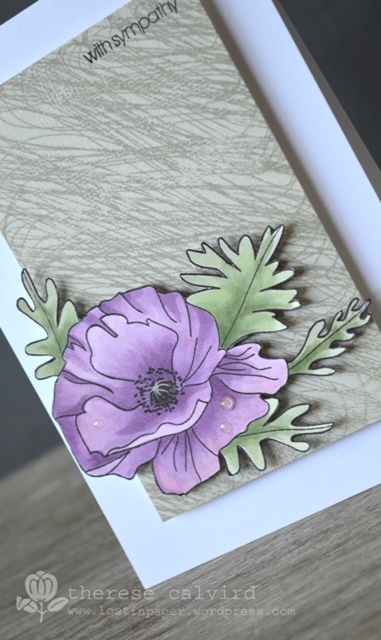 So gorgeous, Therese.. that background stamp is fabulous and the depth and dimension of your coloring could not be matched! 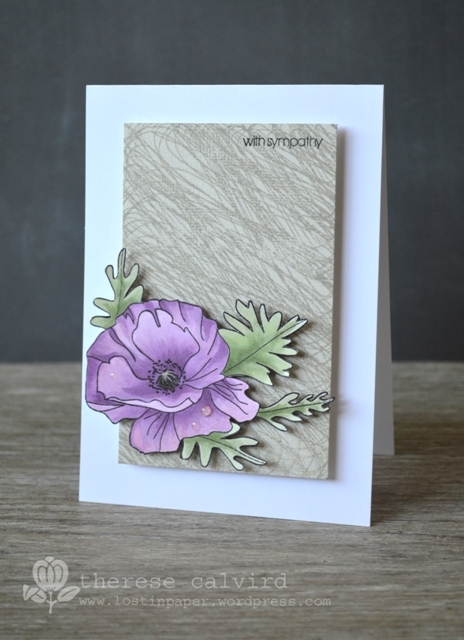 I really do love that background stamp on this gorgeous Sympathy card, Therese! This is definitely the best time to make these…when you’re not in a hurry or emotional to do it. Absolutely gorgeous card, Therese! The background is perfect with this beautiful flower and I love the color combo! Lovely soft colours. Agree when you need this style of card it is not the time to be backing them. 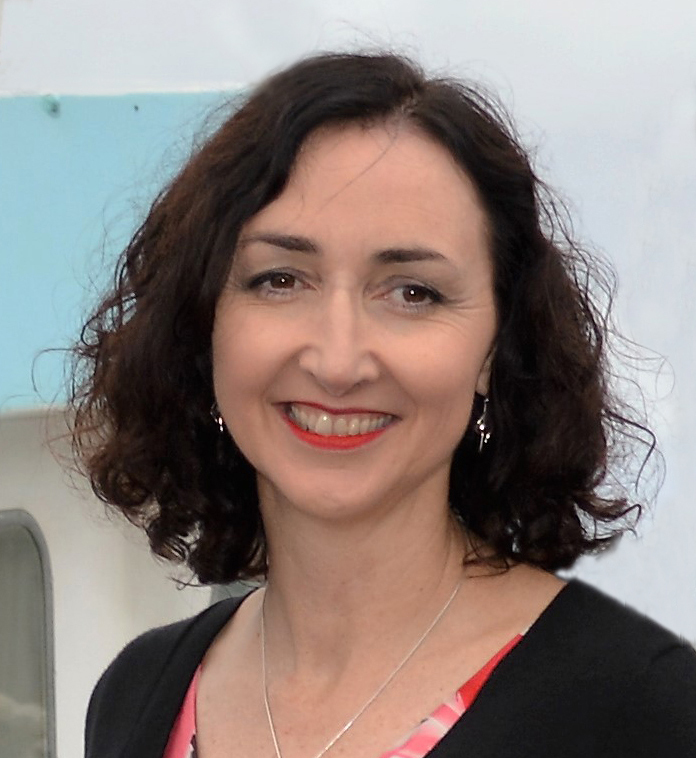 I love that background and your flower is fabulous, Therese. . This card is so pretty Therese. Love the detail with the glossy accent! So beautiful Therese. I love that background and the little water drop on your beautiful flower. This card is so beautiful, Therese! That background stamp is awesome! Never seen anything like it! I’m glad you’re not in need of this card right now and hopefully not for a long time. Have a wonderful day! Just gorgeous! Love your coloring on the flower. So gorgeous, Theresa! I love the background with your flower, and the simplistic nature of the card for the occasion. Beautiful card Therese, that bkgd stamp caught my eye too, thanks for showccasing it 🙂 Love the subtle texture it gives. That really is a funky background stamp and it looks awesome in that muted tone. Perfect for your sympathy card. Simple & lovely! I’m the same way, would much rather have them on hand than make them when I need them!